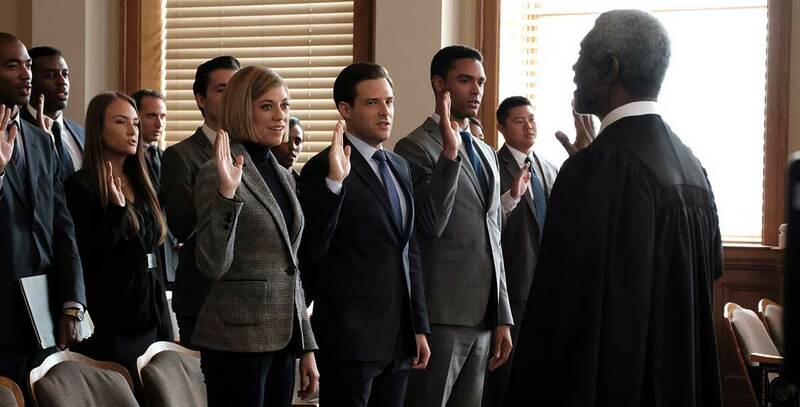 For the People (TV) Hour-long drama debuting on ABC on March 22, 2018. At the United States District Court for the Southern District of New York, six talented young lawyers work on opposite sides of the law and handle the most high-profile and high-stakes federal cases in the country. Best friends Sandra Bell and Allison Adams serve as public defenders alongside Jay Simmons and their boss, Jill Carlan, as they face off against prosecutors. Stars Britt Robertson (Sandra Bell), Jasmin Savoy Brown (Allison Adams), Ben Rappaport (Seth Oliver), Susannah Flood (Kate Littlejohn), Wesam Keesh (Jay Simmons), Regé-Jean Page (Leonard Knox), Ben Shenkman (Roger Gunn), Hope Davis (Jill Carlan). From ABC Studios.